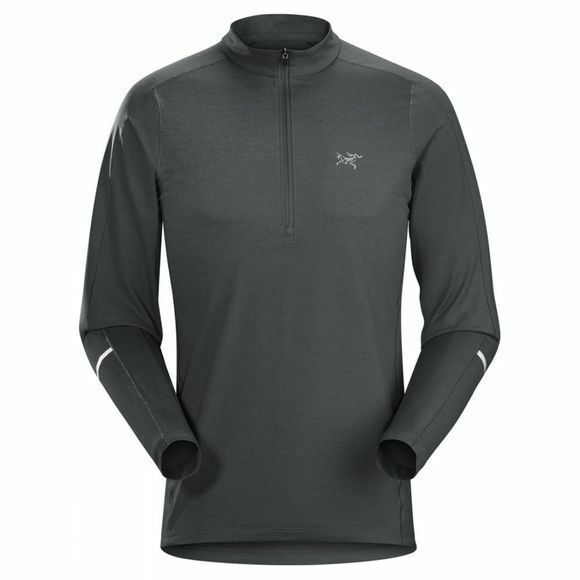 This lightweight Men's zip neck shirt from Arc'teryx performs across a range of temperatures. Designed for trail running, but offering a versatility that frees it to cross over to other high-output activities, the Cormac Zip Neck delivers comfort and climate control on the move. The lightweight Ostria™ fabric provides sun protection, performance stretch and comfort next to the skin. The gridded construction helps speed moisture transfer. Long sleeves provide sun protection and add some warmth, and the deep V-neck can be quickly unzipped to dump heat.